CPA affiliate marketing is one of the easiest ways to make money through the blog, social media, email marketing, search, survey etc. CPA affiliate networks are the heart of performance-based advertising. Affiliates should choose the affiliate networks with the best performing offers in order to earn more money. This article explains about the CPA affiliate marketing system and lists the top 10 CPA affiliate networks. CPA stands for cost per action also called as PPA(Pay Per Action). CPA marketing process is called as cost per action affiliate marketing. CPA affiliate networks pay the affiliates on performance basis which means, the visitor has to click the affiliate link/banner and complete a pre-defined action(s). There are various types of offers available on the CPA networks which pay for actions like single opt-in sign-up, double opt-in sign-up, e-mail submits, mobile app installs, completing the survey, downloading toolbars & Softwares, free product & service trials, watching video, review etc. CPA affiliate marketing system allows two types of traffic they are incentivized traffic and non-incentivized traffic. Incentivized offers can be promoted by paying the user to perform the actions. App installs, watching videos, survey completion, email submits are the example of incentivized CPA offers. Non-incentivized offers do not allow the affiliates to reward the users/visitors to complete an action. Sign ups, email submits are the examples of non-incentivized offers. CPA affiliate networks will have additional features and tools when compared to CPS affiliate networks and PPL affiliate networks. 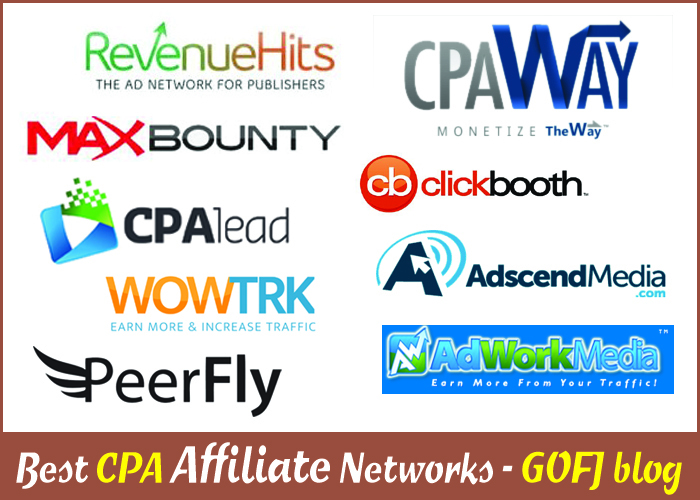 The CPA affiliate networks connect advertisers with the potential affiliates by listing out the performance ads/offers of the advertisers in their offer list. Affiliates can choose the best performing offers and promote them on their blog/other traffic sources. When a visitor/user complete an action by clicking the affiliate link, the affiliate will be paid by the advertisers indirectly through the affiliate networks. For listing the advertiser’s products/services to the potential affiliates, managing the tools, tracking the conversions and exposing the products/services to the world, the advertiser pay fees to the affiliate network. When the affiliates promote a non-incentivized offer, they must not reward/force a visitor/user to complete the offer. Non-incentivized offers are high quality, high paying and professional. Affiliate networks will list the traffic source below the offer which should be strictly followed in order to prevent account ban. Advertisers will have the technology to automatically filter the non-targeted leads. CPA affiliate networks with non-incentivized offers will approve affiliate only after complete background verification. When the affiliates promote an incentivized offer, they can reward/pay the visitors to complete an action by clicking the affiliate link/banner/other tools. Affiliate networks will not be strict on the traffic source used to promote these offers. Incentivized offers are high paying but conversions rate & EPC will be lower. These offers perform best on the rewarding sites. The CPA affiliate network provides different tools to promote the non-incentivized offers such as the content locker, product locker, app locker, video locker, link locker, offer wall, API, SDK etc. Affiliates can use this tools to promote the offers and increase the conversion based on the promotion platform they use to run the offers. In the case of lockers, the visitor must complete an action before they can access the locked source. Bloggers can lock their free codes, premium content, products, the external link and earn money from the visitor’s action. The combination of CPC monetization and CPA monetization will double/triple the monthly income. Hope now you know what is CPA marketing. Here is the best CPA affiliate network list. admitad is a cost per action based network that delivers all your advertising needs. The admitad offers the reliable sources of sales and publishers with new business models to ensure monetization of traffic. Established in Germany on 2009, currently, admitad is present globally. admitad has its own innovative in-house platform, premium payments on request starting from $20, a variety of modern tools and globally known brands. admitad has an user-friendly interface and provides its affiliates with regularly renewed statistics and analytics. admitad has worldwide traffic and works with international offers. Currently, it supports over 1300 affiliate programs and over 550000 publishers trust the company. The main technical advantages: anti-fraud technologies, cross-device tracking, finger print tracking, advertiser toolbox, anti-cookie technologies, deep linking options, in-house platform. admitad conducts global corporate events for the publishers. The network develops every publisher and helps every affiliate to grow within admitad network to increase their revenues. Finance, Mobile, e-commerce, travel, online games and the main categories of admitad offers. The admitad prepayment option makes sure each penny of yours is safe. You will be paid for the conversions on time even though if there is a delay in receiving advertiser'(s) payment. This makes admitad more reliable and highly trustworthy. Tools – Banners, WordPress plugin, Money link, Adwords integration etc. Approval process – Instant account approval & offers approval by AM. Payment methods – PayPal, e-payments and Wire transfer. 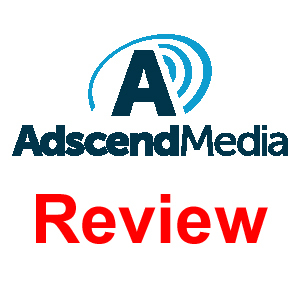 Adscend Media is one of the best CPA affiliate networks with tons of incentivized offers. The Adscend Media has several unique promotional tools like lockers, offer wall API, rewarded video SDK, adlock API etc. The video locker helps the affiliates to earn up to $5 per lead. The users have to view a video before they can unlock the content/service. When the users install the app after watching the trailer video, the affiliate will be paid. The video locker is the simplest monetization feature that does not affect user experience like other lockers. The affiliate can also promote the offers using the standard affiliate links and banners. Adscend Media offers helps us to monetize international traffic which covers almost all the countries in the world. Adscend Media allows publishers of all sizes to sign up. The affiliates have to explain their marketing plans in order to get approval. The personal affiliate manager will assist the affiliates to choose the best performing offers. Adscend Media will send the email(s) with offer updates regularly. Requirements – A website or a mobile app, marketing plans. Tools – Content locker, Video locker, Offerwall, banners, adlock API & SDK, WordPress plugin. Approval process – Account approval by the AM. Payment methods – PayPal, Payoneer, Wire transfer, Check and ACH. Sign up – Adscend Media. AdWork Media is a CPA affiliate network with offers and features similar to the Adscend Media. AdWork Media has plenty of high-quality incentivized campaigns and few non-incent campaigns in almost all the categories like email submit, app install, survey completion, trials, freebies, Android & IOS offers etc. The tools of AdWork Media are designed in such a way to generate high conversion and high EPC. The WordPress plugin helps the affiliate to easily integrate the lockers and other tools in the WordPress blog. AdWork Media’s best performer page is a useful page where we can find the best performing offers in each country and promote the campaigns that generate high EPC. Apart from the inbuilt tools, the personal affiliate managers will be available anytime to assist the affiliates in minutes. To become the AdWork Media publisher, the account should be approved. Sign up with correct information and marketing plans in order to get approval. Requirements – A Website or a mobile app or an incentive program. Tools – Content/product/link/app lockers, API & SDK, banner rotator, offer wall. Payment method – PayPal, Check, ACH direct deposit, Payza, Payoneer. Sign up – AdWork Media. PeerFly is the world’s top most CPA affiliate network and it has been voted as the No:1 CPA affiliate program many time in the previous years by the affiliate and the advertisers. Most of the PeerFly offers are non-incentivized and there are few incentivized offers found on the network. There are also cost per sale campaigns present on PeerFly, makes it the best all one affiliate program. Campaigns are available in various categories including Beauty, education, web development, Biz op, email submits, finance, dating, loans & payday, Finance, insurance, automotive, downloads, Android & IOS apps, travel, shopping, real estate, technology, taxes etc. PeerFly is very strict in approving the affiliate & advertiser accounts. The affiliate must undergo four-step verification during sign up including the mobile phone verification and a manual review will be done before approval. Requirements – A website, experience as an affiliate. Tools – Split link test, Banners rotator, content locker, API. Approval process – Automatic Verification and Manual verification. Payout frequency – Weekly, NET15 & NET30. Payment method – PayPal, Payoneer, Wire transfer, Postal check. CPAlead is one of the best affiliate networks in the CPA affiliate marketing industry. CPAlead is very user-friendly with a lot of high-quality offers. CPAlead runs a number of campaigns to monetize the international traffic while most of the affiliate networks concentrate on the US, UK, CA, AU, NZ traffic. CPAlead is the only CPA network that provides unique tools similar to the CPM ad networks like pop-unders, interstitial ads, banner ads to monetize the traffic automatically based on the offer performance. Other than ad-based tools, the lockers on CPAlead are highly customizable. The affiliates can design the landing page in such a way that it generates more leads. There are also some of the pre-designed themes available on CPAlead to choose. Affiliates can promote the CPAlead offers through any traffic source such as the blog, social media, search, survey, YouTube etc. Affiliates do not have to undergo any approval process in order to join CPAlead. They have to verify their phone number during the registration process to enter the program. Requirements – Valid mobile number. Tools – Banners, pop-under, interstitial ads, content/link lockers, custom ad rotator. Approval process – Instant approval after the Mobile number verification. Payout frequency – Weekly, NET30. Payment method – PayPal, Check, Wire transfer, Payoneer, Bitcoin, ACH Direct deposit. RevenueHits is a CPA ad network which that helps the publishers to monetize their traffic using automatic CPA ads. The publishers will be paid only if a user completes an action after clicking the banner/ad. RevenueHits is actually an ad network similar to CPC ad networks and not an affiliate network. Instead of paying for clicks or impressions, the RevenueHits pays only for action no matter how much ever clicks the ad receives. The RevenueHits publishers will not have any control over the ads displayed on their site like they do have the control over the ads of other CPA network displayed on their website. There are different ad formats available on the RevenueHits which includes the standard banner ads, pop-up ads, slider ads, pop-under ads, shadow ads, interstitial ads, sticky top bar and the button ads. Apart from desktop ads, the RevenueHits have several ad formats to monetize the mobile traffic which are the mobile dialog box ads, sticky footer banner ads, interstitial ads, notifier ads and the new tab ads. RevenueHits allows publishers of all size to make use of their CPA program without approval. Publishers should sign up and create a new ad placement to start earning through this network. Requirements – A website to publish CPA ads. Tools – Banner ads, interstitial ads, pop-under, notifier ads, dialog ads, sticky ads etc. Approval process – Instant approval. Payment method – PayPal, Payoneer and Wire transfer. MaxBounty is the best when it comes to CPA affiliate marketing. MaxBounty connects world’s best advertisers with the skilled affiliate marketers. MaxBounty work on the pay per lead(PPL) offers and the cost per action(CPA) offers. Also, there are few cost per sale(CPS) campaigns found on the MaxBounty. About 70% of MaxBounty offers are non-incent offers and there are few incentivized offers found on the MaxBounty. The MaxBounty offers are high paying when compared to their competitor networks. Campaigns are found in over 25+ categories on MaxBounty including Education, insurance, Dating, legal, financial, e-commerce, business, downloads, surveys & routers, mobile apps, e-commerce etc. MaxBounty is very strict in approving the affiliate accounts. They allow only the blogs that have good traffic source and bloggers with marketing experience to be a MaxBounty affiliate. After sign up, one of the affiliate managers will call the affiliate to discuss the marketing plans. The account will be approved only after the phone call. Requirements – A website to become an affiliate, consistent branding, experience. Tools – Banners, links, mobile app. Approval process – On call interview. Payout frequency – NET15, weekly. Payment method – PayPal, Wire transfer, Check, Intercash, Bitcoin, ACH. WOW Trk is the fastest growing performance-based affiliate network with over 10000 CPA, CPL and CPC campaigns to promote. WOW Trk run campaigns in over 20+ categories and most of them are non-incent offers. The categories in which offers found are the adult, finance, binary option, Biz op, dating, travel, trials, surveys, prize draw, gaming, gambling, freebies, health & beauty, insurance, home improvement, forex, deals & discount etc. Affiliates can sign up on the WOW Trk and start promoting the offers instantly. So, if you’re a startup, stop worrying about your account getting disapproved by premium networks. Affiliate must verify their mobile number during signup to complete the registration. WOW Trk allows affiliates without a website with the marketing plan to promote their offers through the third-party traffic source. Requirements – Traffic source, mobile phone number. Tools – Content locker, WordPress plugin, Ad group, mobile app, APIs, browser extension. Approval process – Instant approval after the mobile verification. Payment method – PayPal, Direct deposit, Wire transfer, Check. Sign up – WOW Trk. The Panthera Network is one of the best CPA affiliate networks featured in top 20 cost per action affiliate program survey. Panthera network mainly works on incentive CPA offers and non-incent PPL offers. They run over 5000 offers which are promoted by the best advertisers in the world. Most of the campaigns are related to the market research category and other than that offers are found in the categories like Finance, Biz op, rewards, coupons, discounts, health & beauty, freebies, clinical trials, medical research, magazines, books, shopping, cash back, email submits, downloads, toolbars, education, employment, dating, family, pets, children, surveys etc. Panthera Network approves the account if they find the website fit their network advertisers. After approval, a personal affiliate manager will assist the affiliate to find the best performing offers for the site(s). Panthera rewards $150 to the affiliates who earn $1500 within 60 days from the day of registration. The Panthera Network allow the affiliates to promote the offer(s) through the display, social media, limited incentive traffic, email newsletters etc. Requirements – A website/traffic source. Tools – Ad groups, mobile app, API, pixels/postbacks. Payment method – PayPal, Check, Wire Transfer, Direct deposit. Sign up – Panthera Network. Clickbooth is one of the top 5 performance based affiliate networks in the world. It is a unique CPA program with tools that increase the publisher revenue up to 40%. The Clickbooth only allows the campaign of high-quality advertisers. If they find a lack in the offer performance, it will be removed from the network. This is done to maintain its brand as the best performing CPA network. Clickbooth offer groups help the affiliates to run the single campaigns or run the customized group of campaigns. Clickbooth’s exclusive offer blend automatically monetize the traffic with best performing offers. Clickbooth promotes offers in over 30 verticals including travel, beauty, health, insurance, education, skin care, weight loss, fashion, jobs, entertainment, apps, coupons etc. Clickbooth has strict approval terms. They approve the affiliate accounts that can perform well on CB offers. Experienced affiliates can qualify for participating in the Clickbooth gold program by submitting their income proof at the end of the sign-up process. Requirements – Website/traffic source, Explanation of the marketing plans. Tools – Offer groups, links, banners. Payment method – Check, Wire Transfer, ACH. CPAWay is a growing cost per action affiliate program with over 10000 offers in their network. CPAWay runs campaigns of categories like Auto products, books, magazines, TV services, Biz op, computers, technology, dating, coupons, freebies, surveys, market research, downloads, Software, sweepstakes, toolbars, education, email submits, scholarship, entertainment, movies, finance, mortgage, insurance, jobs & career, political, pharmaceutical, political, shopping, legal, promotional offers etc. There are a lot of incent offers and few non-incent offers found on the CPAWay to monetize traffic of all types. Affiliate accounts will be manually verified before the approval. Affiliates should explain their marketing plans and traffic details to get their account approval. CPAWay accepts different types of traffic sources including display, search, social, incent traffic etc. Requirements – A website/traffic source, marketing plans. Tools – Banners, API, postback, offer feeds. Payout frequency – NET30, weekly.